You can be a pilot! 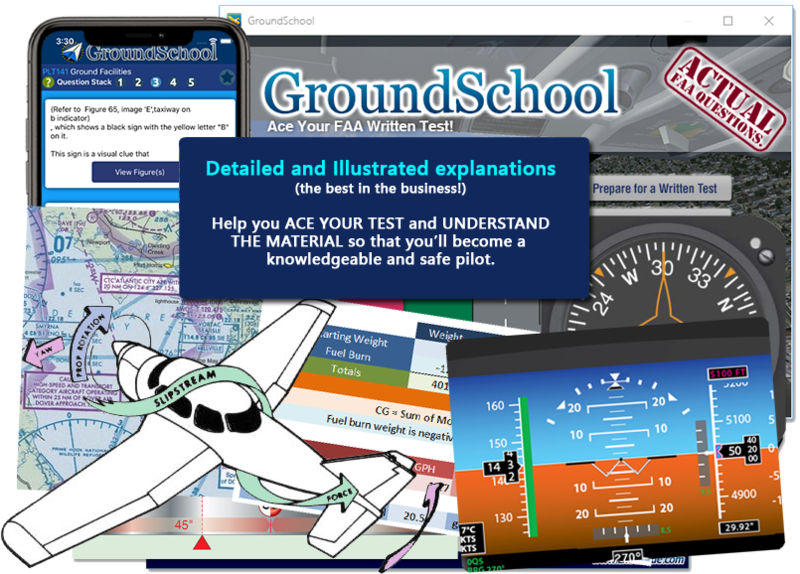 With a minimum of time and cost, YOU can ACE your FAA Private Pilot knowledge (written) test using our GroundSchool software and apps. The sooner you pass your knowledge test, the more prepared you will be for and the more you can concentrate on flying. Our materials features the best, most illustrated explanations of any FAA test prep product, period to really help you learn the material well. All required charts and figures are included. GroundSchool costs about the same as books do, but is significantly more time efficient. Sure, DVD/Video sets may look pretty, but many find them inefficient timewise. Our software and apps work on YOUR pace at significantly lesser cost. Don't fear the examiner! A high score on the written test will help you impress the examiner during your checkride (flight test), but doing well on the oral exam portion of your checkride will impress him/her more. Study for your written exam with our GroundSchool software and apps (below), but also prepare for your Oral Exam with our RideReady checkride oral exam prep. Starting early with RideReady is a plus, since it really goes a long way towards teaching you more complex scenario, judgment, and systems type questions that you will likely experience during your training and oral exam compared to the relatively straightforward written exam questions. There is ABSOLUTELY NO NEED to purchase a $200+ home video/DVD course to prepare you for an FAA written test. GroundSchool does the same thing in a more time efficient and less expensive way. Spending more money won't make you smarter - only poorer! 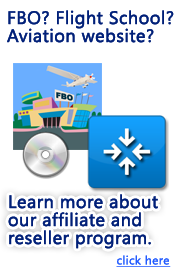 Our GroundSchool is all that you need to learn the material and pass your FAA written test. ""I am an Aviation Major at a top US university where I am consistently at the top of my class with the help of your software... Thanks for providing a great application at such a reasonable price!" - PZ "
The feedback keeps rolling in. Our users routinely score very highly on their knowledge tests. We invite you to be next. It's hard to say for sure, but we're confident within reasonable doubt that we have helped "hundreds get hundreds" with our software by this point. Check out even more user feedback.